Explore the Corolla from every angle. Download the brochure to see customizable options, features and everything else the 2020 Corolla has to offer. The 2019 Corolla has you covered for an unbeatable driving experience with all the safety features you want-and it all comes standard! Discover for yourself why you should get behind the wheel of a Corolla today. We aren’t saying we’re the best, but lots of other people are. Take a look at some of the praise Corolla has received. No one knows how to take care of a Corolla better than Toyota Certified Technicians. Use only if aware of circumstances surrounding vehicle and it is legal and safe to do so (e.g., do not remotely start engine if vehicle is in an enclosed space or vehicle is occupied by a child). Remote Connect is dependent upon an operative telematics device, a cellular connection, navigation map data and GPS satellite signal reception, and other factors outside of Toyota's control, which can limit the ability or functionality of the system. Registration and app download are required. See usage precautions and service limitations in Owner's Manual. 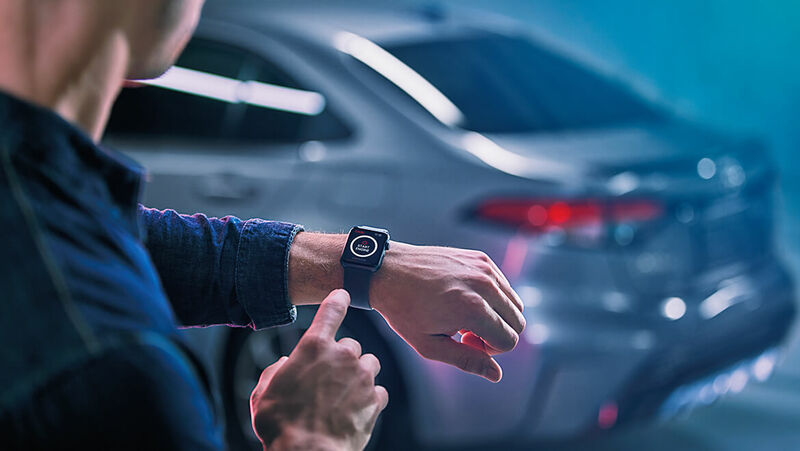 To learn about Toyota Entune™ 3.0's data collection, use, sharing and retention, please visit https://www.toyota.com/privacycyvts/.